Since 1991, we have been servicing industrial electronics and automation equipment. Our mission is to help keep manufacturing lines running. Our experienced technicians use state of the art testing equipment. This ensures you get the quality repair you deserve. 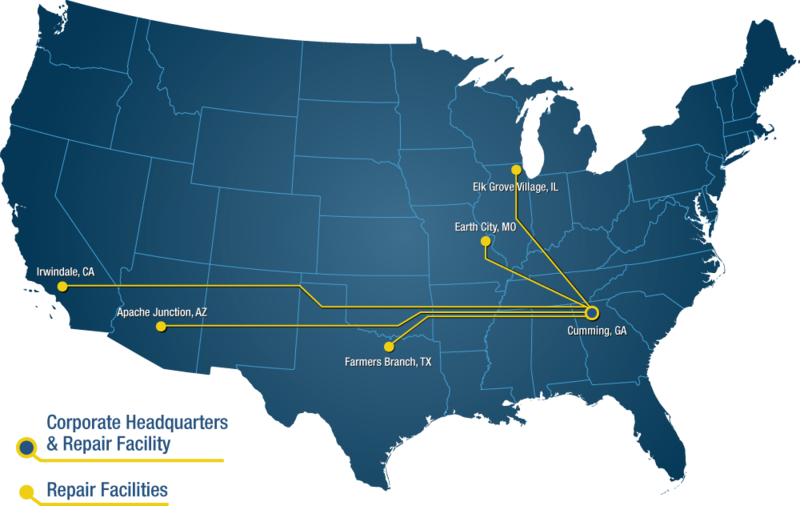 We help you cut downtime and reduce operating costs. We work on most brands and specialize in the repair of older and obsolete components. Our service industries include Food, plastics, steel, textiles, paper, printing, automotive, HVAC, glass, furniture, wood, tobacco, metal, wind power, rubber, leather, chemicals, refineries, and water treatment facilities. We use the latest technology to test and repair your equipment. We'll ensure that your repair is in working order when it's shipped back to you. Every repair comes with an industry leading In-Service Warranty. Our average, turnaround for repair jobs is 7-10 working days. 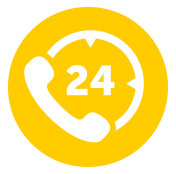 We also offer 24-48 hour emergency rush service. Our technicians have over 25 years in the industry. Let our team of professionals prove that quality repairs can keep your facility running. We look forward to becoming your perfect repair partner. We are customer driven and technology focused. Let our knowledgeable staff show you what Industrial Repair Service can do for you. Electrical Apparatus Magazine: April Issue 2018, Barks Publication’s Electrical Apparatus Magazine, will feature a cover story on Industrial Repair Service. An exclusive behind the scenes look into our business: http://barks.com/ea-the-april-2018-ea-issue-is-getting-windy/. Download PDF here. Pack Expo International: Join us and thousands of members from PMMI and the packaging and healthcare industry at the Pack Expo International in Chicago, IL on October 14-17th, 2018. You don’t want to miss this big opportunity to expand your network and education. We will be exhibiting so please stop by our booth #E-10923 and say hello, www.packexpolasvegas.com. Our team services an extensive range of equipment as well as specializing in old and obsolete equipment. We stand by the commitment to provide value to our customers. We offer two industry-leading warranties. All Robotic and Servo Motor repairs are covered by an 18 Month In-Service Warranty. Our Electronic repairs are covered by a 24 Month In-Service Warranty. What does In-Service mean? 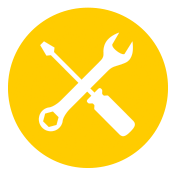 Our In-Service Warranty starts when the part is installed in your machine and not when it is shipped back to you like other repair companies. By tracking an In-Service Warranty, we are providing our customers with the peace of mind that the part or unit will work, as intended, when needed. In addition, our warranty covers the entire unit and not just the parts we repaired or replaced. Industrial Repair Service offers the best service in the industry. You can count on our technicians to get your equipment up and running as quickly as possible. 1. Inventory Control Ship us your repair or arrange for a pick up. 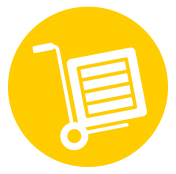 We receive your unit and enter it into our custom tracking system with a bar code for the unit itself as well as a location bar code in our warehouse. Your repair is also logged into our secure online Customer Portal where you can track the entire process from start to finish with tracking and alert notifications in between. 2. Quoting & Approvals We quote repairs on a flat-rate basis. Most items are quoted within 24 hours. Our account managers and customer service team verifies that you've received your quote and confirm all details. The repair process begins upon your approval. 3. Testing & Parts A technician is assigned to your unit for repair. We use state of the art equipment and test stands to run full-load and systems tests. We stock thousands of parts in house which allows for fast and efficient turn-around time on your repair. 4. Quality Control Your repaired unit is sent to quality control. The unit is prepped and cleaned thoroughly and prepared for shipment. Your item is carefully packaged with foam and anti-static bags and arranged for pick-up. 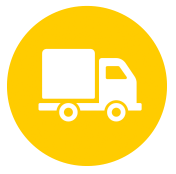 Your item is sent out the door backed by our 18 Month In-Service Warranty. Over the past 25 years, Industrial Repair Service has been recognized with the highest customer satisfaction rating in the industry. We treat everyone who works for us and all of our clients like family. Our clients define their experiences working with the entire Industrial Repair Service Team and their reviews are the true awards. "Once again you guys have bailed us out of a jam. We received the board today and installed it. I am very pleased to see the equipment back up and running as it should. I think all GP plants would benefit by using your company. I know this GP plant appreciates doing business with you. Thanks again and I'll be in touch the next time I have another crisis." My intention is to thank you and your team for another good job! Tuesday morning I received the Mitsubishi controller you repaired, I installed it and it works great. Your team is my GO TO team. I can tell you honestly, not one BorgWarner repair has ever been sent to [competitor]! IRS is doing a great job for us. You guys make me look real good. Thanks, I appreciate it! Industrial Repair Service is, to put it mildly, Super Awesome. They have pulled me out of a jam more than once by repairing obsolete equipment or just with a very low cost repair on a moment’s notice. They have cut my down time and saved the day for me and the companies I have worked for as a Maintenance Planner. They are an excellent vendor to have in your tool box. We have been using Industrial Repair Service for a few years now. They take great care of us especially since some of our electronics are obsolete and need to be fixed in an effort to keep older equipment in production. That…was incredible, high level of customer service, respect, and courtesy that one can expect to get. While others may offer their services, your company offers it with a smile that’s fast and reliable.